I previously suggested to instead merge the 419 with the 371, to provide new links towards Ham and Kingston. With the H22 then extended via the 391 to replace it as far as Turnham Green. A slightly more contraversial idea could be to withdraw the cross-Richmond route 33, as it is mostly paralleled by other routes. The 72 continues a Hammersmith-Barnes link, and the 337 Richmond-Barnes. Either of these could get a PVR increase if needed. Then merge the 209&419 to provide a slightly more direct Hammersmith-Richmond route via Barnes Bridge and Mortlake. West of Richmond, this reduces the spare capacity towards Twickenham. The R68 could have a small diversion around Strawberry Hill to serve part of the withdrawn section. The R68 could possibly even be renumbered to 33. Merging the 371 and 419 is certainly another viable option. Interesting idea about the 33, there is no getting away from the fact that three routes between Barnes and Richmond is excessive along with the parallel railway line. No idea if there are any clearance issues. Although TfL might have to paint some double yellow lines on one side of St John’s Road. 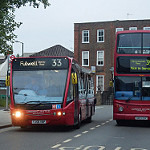 I always though slashing the 33 between Fulwell and Richmond and replacing it with the 290 to serve Fulwell to Richmond (lower frequency but more reliable) would be a good way of saving buses. The 110 of old when run from FW was a lovely route. Timings were quite tight, with only five buses running x20 mins Sat shopping hours Cranford to Twickenham. FW 85 was the MF spread over bus. I remember catching M966 when it was brand new on the garage run ex AM peak from Hounslow back to Fulwell Garage via Sixth Cross Road. Great shame when FW lost the route to LCSW. Erm no, the 33 is a very busy route connecting East Sheen and Mortlake with Hammersmith. From Richmond to Fulwell there are multiple other bus routes. Sorry I disagree entirely. The 33 is busy throughout. The night service isn’t though. I do agree too many routes terminate in Richmond and I’m surprised some other routes have been left out so far. The 337 I’ve never seen packed in contrast . I'm surprised the Twickenham to Fulwell stretch wasn't looked it as with the 267, 281, 290 and R70 plus the 33 linking both with some rationalising. Even that street has 2 night routes plus the (N)33 linking aswell. That's been my experience on the 33, busy Hammersmith to Barnes but pretty much emptied out by East Sheen. There certainly are too many buses terminating in Richmond which necessitates wasteful mileage to the Homebase stand. Another option would be to reroute the 37 to East Sheen and withdraw the 337, if necessary the 87 could be extended to Putney Heath. The 33 has always been busy when I’ve been down that way whilst the 337 isn’t always quiet - certain times it gets busy right along the route. The other day I used it from Richmond to Wandsworth and it was rammed solid. Historically , the 202 which the H22 replaced , did not always reach Richmond. So I’m not surprised it was the H22 for the chop. Lots of attention above paid to the 33 which also historically has had a reduced frequency between Richmond / Twickenham and Fulwell. The last time it was halved in frequency between Richmond and Fulwell, there were complaints galore and overcrowding down Waldergrave Rd. remember there is st Mary’s University on that stretch. Autofare was the term used for the introduction of MBS type buses on London Transport's Country buses. I think the first routes were the 430 and 447 in the Reigate/Redhill area in late 1968. In the Central buses area the MBS types were used on the new satellite flat fare standee routes e.g. E1-E3. Many teething problems were experienced with these buses. This was a time where virtually everybody who boarded a MBS bus had to pay a cash fare and access to the bus was through one of two turnstiles. In an attempt to placate mounting passenger hostility and to slightly minimise the impact of the unreliability of the coin machines, London Transport decided on a new approach with the last MBS types. So in August 1969 the 110 and 111 were selected to be converted from RT to MBS, but for the first time the MBS types would have a split entrance system with the opportunity of paying cash to the driver or using the one remaining turntile and slot machine on the right of the entrance. The routes continued to have a graduated fare scale instead of the flat fare that existed on the other MBS routes. At this time the 111 had reached Kingston albeit just on Saturdays. The draw of Kingston as a shopping destination on Saturdays was such that the two single deck RF routes (216 and 264), that plied between Kingston and Hampton could not cope with the demand and so the 71 (East Acton to Kingston) was extended on Saturdays from Kingston to Sunbury Station to provide some relief. Service changes in 1964 meant that the 71 reverted to Kingston on Saturdays and instead the 111 was extended from Hampton to Kingston on that day. As well as the introduction of the MBSs in 1969 on the 110 and 111 a new RF route the 211 was introduced to help out between Hounslow and Hampton. On Saturdays it replaced the 111 to Kingston. During the week the 211 was one man operated using RFs but on Saturdays reverted to crew operation using RTs. The 211 had a short life and over time the 111 grew to be the trunk route it is today providing a daily service to Kingston. Incidently the 111 replacing the 71 was a reversal of what had happened some years earlier. When a bus service was first introduced on the Great Chertsey Road between Manor Circus and Hammersmith the 111 was selected by way of an extremely long extension from Hanworth to Hammersmith on Saturday and Sunday afternoons to provide a service to relatives wishing to pay a visit to North Sheen and Mortlake Cemeteries. This did not last too long and very soon the newly introduced 71 that had run just between Kingston and Richmond was projected through to Hammersmith on Monday to Saturdays. The proposal for the merger of the 110 and 419 is an intersting one, although I agree with an earlier comment that it would make more sense to passengers to use the 419 number for the merged route, despite the longer history of the 110. When in the 1970s London Transport was being lobbied to provide a bus service to the Lonsdale/Suffolk Roads area of Barnes that the 419 now traverses tentative plans were drawn up to extend the 202. The 202 was RF operated and ran between Hounslow and Richmond via the current H22. The idea was that alternate buses on the 202 would be extended from the Richmond(Dee Road) terminus to Hammersmith via the current 419 providing a bus on the new section every 45 minutes. Such were London Transport's financial difficulties at the time that the proposal stayed very much on the drawing board and that area of Barnes had to wait a lot longer for a bus service, until when the R69 was introduced. 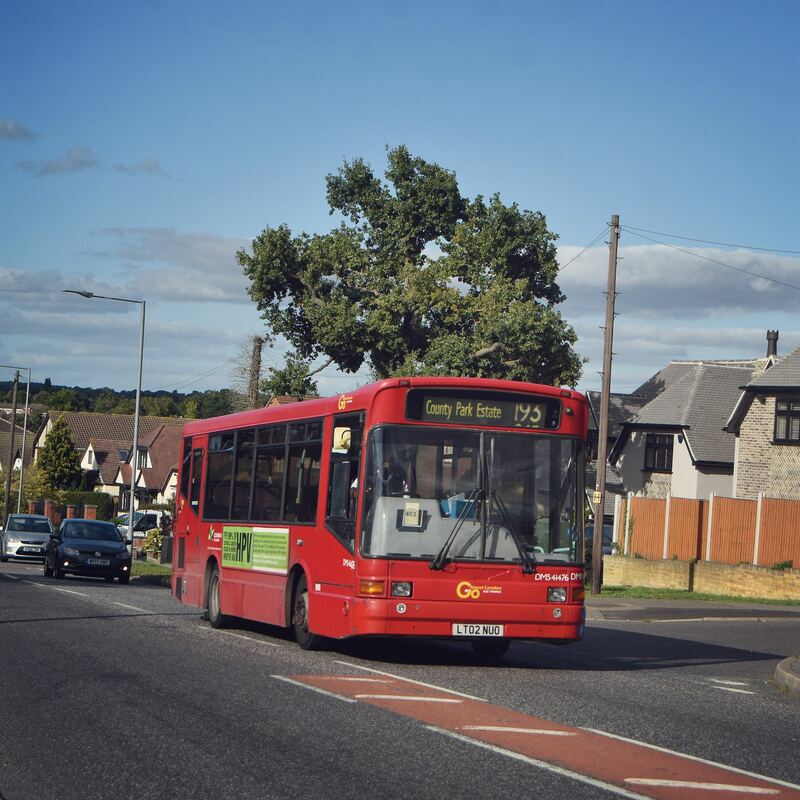 A merger of the H22 and the 419 in the current proposals would have meant that a route first proposed in the 1970s would finally come to be, however, such a route will have to remain a fantasy. This could mean that route 110 is downgraded from DLE to DE operation coinciding with its frequency increase, with route 371 upgraded from DE to DLE operation.